The position of university security personnel on the UPNG campus is paramount not only to securing school property but also ensuring the lives of the student body are protected. This can be achieved via the proper upholding of their uniforce code of conduct, and maintaining discipline. That’s the word from the new chief of security of UPNG, Mr Matthew Kipott during his official inauguration ceremony this morning. 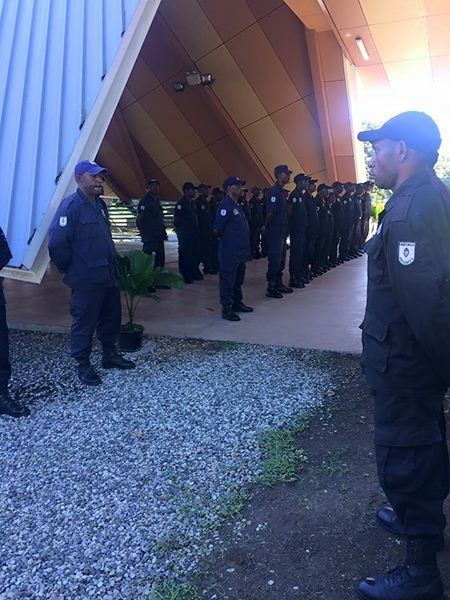 It is understood that Mr Kipott comes with 45plus years experience in the disciplined forces which he aims to utilize in getting the best out of the security personnel at UPNG. Mr Kipott further added that although the university security force is not in itself a professional security firm, its reputation can be restored through cooperation and any form of undiscipline will not be tolerated.